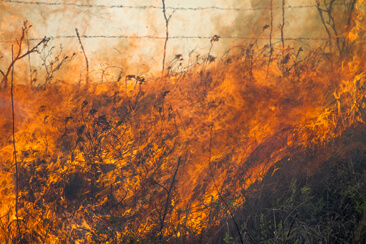 Florida Farm Bureau Federation donated a total of $10,000 to a Disaster Relief Fund to support farm families in those states affected by wildfires. Blazes have destroyed more than 2,300 square miles through the four states. Thousands of farm animals have been lost and six human deaths have been reported due to the wildfires. More than 100 wildfires are burning across Florida. On Tuesday, April 11, Florida Gov. Rick Scott declared a state of emergency due to the recent wildfires. According to the U.S. Drought Monitor, 42 percent of Florida is experiencing moderate drought conditions, while 13 percent is experiencing severe drought.